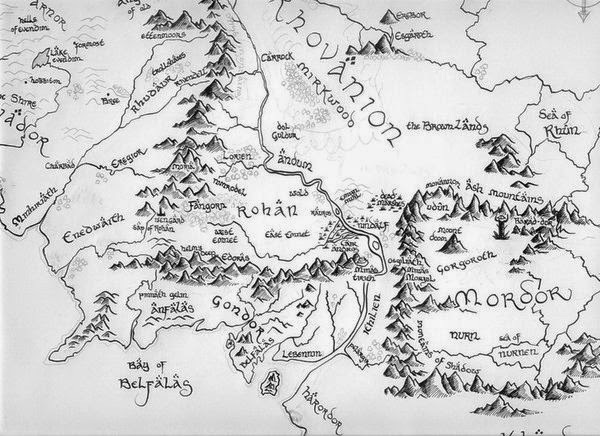 Middle Earth is a vastly complex Mythology, but it is even more than that. England actually has no actual mythology, all other countries do have folk lore but not England. Tolkien Himself was an expert on both old English and the history of Anglo-Saxon Britain. The Silmarillion, The Hobbit and Lord of the rings and the whole of Middle Earth was his way of Giving England a History of Legends and tales. England of course has very few legends, Anglo-saxon English were exterminated by the Normans, 1/3 of the population of England were murdered by the Genocidal Norman Campaign, England the country, went from been a rich, powerful nation that was the bread basket of Europe to a 3rd word country suffering starvation and plague. To be sure, The Normans destroyed England, but worse they destroyed England's Heritage. Our Legends, stories the very Mythology of the English race was lost. Tolkien wanted to address that loss. He created a legend that has in many ways become a legend in itself.